The Johnson County Arts Council Christmas Craft Show still has booth space available for this year’s show being held at the Armory on Nov. 24. must be homemade arts and craft items. Contact Renee Proffitt at 423-291-9029. The Johnson County Election Commission Office will be closed November 21 -November 23 for Thanksgiving. The office will re-open on Monday, November 26. The Town of Mountain City offices will be closed on Thursday, November 22, 2018 and Friday, November 23, 2018 in observance of the Thanksgiving Holiday. There will be no garbage pick-up these days. There will be city wide garbage pick-up on Monday, November 26, 2018. Regular garbage routes will resume on Tuesday, November 27, 2018. In the event of a water/sewer emergency, please call 727-5200. The Johnson County Courthouse will be closed Nov 22 and 23 for Thanksgiving.The Johnson County Transfer Station will be closed Thanksgiving Day. There will be a “Turkey Shoot” on Saturday, November 24 at 1 PM at the Trade Community Center, 228 Modock Road, Trade, Tennessee. Competition will be open to anyone shooting 12, 16, 20, and 410 gauges. Stock arms only. No modified chokes allowed. Multiple cash awards will be offered to winners. Refreshments are available. Proceeds go to maintain the Mill and Trade Community Center grounds and other community projects. For more information, please contact Bill Roark at 423-895-2213. Raising grandchildren can be a tremendous challenge. 2.7 million grandparents are now raising their grandchildren. Grandparent caregivers need a support system to help with the many tasks and challenges they face. The Johnson County School System will be hosting its first Things Grandparents Need to Know session on December 3 from 5:30 PM-7 PM in the boardroom at Central Office (located behind the library). Officer Mike Sumner will be discussing drug and alcohol abuse among children and teens. ACTION Coalition will be on hand to offer assistance on how to talk to your grandchilren about drugs and alcohol abuse. Refreshments will be probided. Please come and join us! For more information, contact Edna Miller at 727-2640. Join us for Small Business Saturday from 10 AM- 5PM! Patrons can warm up with hot chocolate and enjoy free gift wrapping inside. For more information, stop by the center, call (423) 460-3313 or check out our website at www.jocoartcenter.org. Free Thanksgiving Meal to anyone who is in need on November 22, 2018. 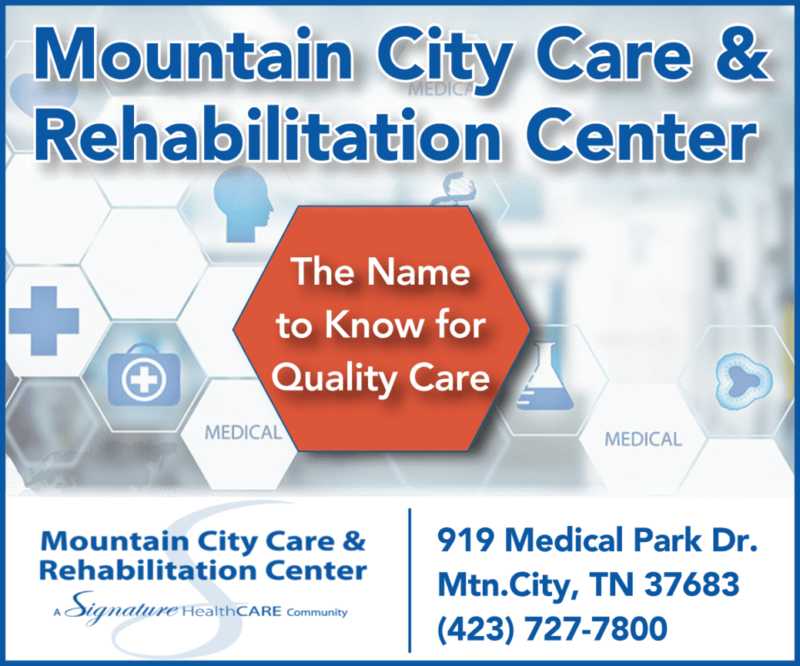 Dine-In, Take-Out or Delivery – While It Lasts –Dine-In 11 AM– 12:30 PM at Johnson County Senior Center 128 College Street in Mountain City, TN 37683. Must RSVP By November 9 727-9061 ext. 3123. Gabrielle Phipps Danny Herman Trucking.